Can anyone help with Schematics(for my tech)? R30C,works but just sounds weedy & thin. JRT Works but I believe it took out the Speakers in my Crush120C(when I was using them with the JRT). Can anyone help me with schematics for either or even better both of these Amps please,tech is competent with HiFi valve amps,but not Guitar amps. It doesn't mean they are all good? Did you have that problem before changing the valves? I bought the Rocker about 3 years ago & i've never thought it sounded right(I've swapped posts with you before),i'm made several posts about it & bought new valves last year,but still has a weak sound with no grunt. The tech has been over the circuit,but can't find any measurable fault(in terms of voltages),he's made a comment that the transformer looks to small to deliver bottom end,but it's only his opinion with no schematic available to confirm either way. I'll also repeat that he is a Hi Fi amp technician & he's never worked on Guitar amps,which is why we could really do with the schematics for the whole circuit. Does your tech have a computer? A google search will bring up schematics for the Rocker 30 (generated by our own Jondog). Thanks,i had looked on Images but was unsure if i was but it seemed to steer to different titles than the Rocker 30 i clicked on. 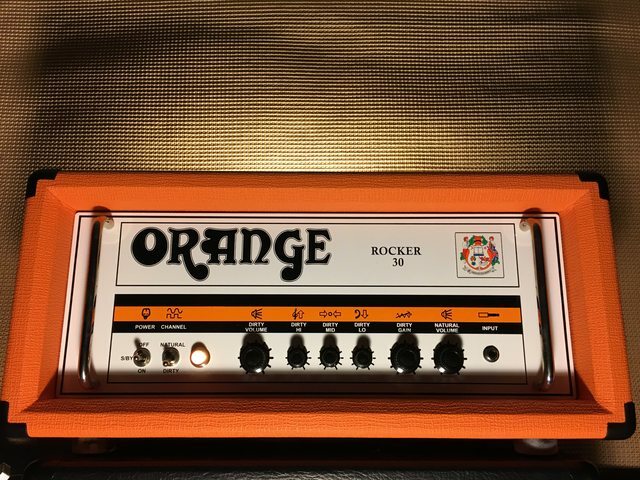 Rocker 30 Natural Preamp . Many thanks for this,could you tell me if this the full set(i'm not tech enough to know if anythings missing),such as power supply,heater supply/circuit etc. I drew up heater and power supply as well, I’m not at home to pull them off my laptop, but they are on the web, even on this forum somewhere. On the output transformer, its not too small. Its a 30 watt transformer. Unless someone modded it with the wrong one. Its looks small compared to the power transformer, but the PT is the same one used in the 50 watt amps, needed for the EL34’s. Thanks,Jondog.My lack of tech knowledge,is making this a bit difficult,i don't know if he was refering to the Output or the Power transformer,i can't contact him 'till Tomorrow. It looks like Jon got to this, but just to add a comment. It might be worth looking into a different tech. A tech only familiar with hi-fi amps isn't the best person to trouble shoot a guitar amp. Hi-fi and guitar amps have opposite goals. A hi-fi amp is supposed to amplify a signal with minimal coloration and minimal distortion. 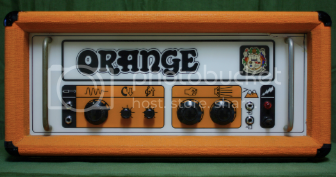 A guitar amp amplifies the signal with a huge amount of coloration and a huge amount of distortion. The tubes still work in the same way. But when it comes to the rest of it, they're trying to do very different things. Thanks for all the help & advice,i'll post when i get the Amps sorted(& where). Jon,i am familiar with John Gee,he's been around forever(like me),if my tech can't sort it,i'll contact John.